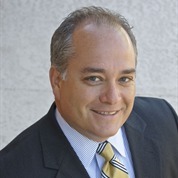 As a plaintiffs’ personal injury lawyer, Eric Terry primarily concentrates his practice on advocating for clients who have been harmed by others, through no fault of their own. This can include but is not limited to, negligence on the part of pharmaceutical companies and medical device manufacturers, a car accident, or exposure to a deadly chemical at a workplace. Prior to becoming an attorney, he worked for more than 10 years as a parole officer. During his decade of work as a parole officer, Eric enjoyed helping offenders live positive lives and felt personal satisfaction when his hard work resulted in former convicted criminals transform themselves into contributing members of society. While working as a probation officer, he saw many people turn to a life of crime after becoming involved with drugs, even prescription drugs. It was in his role as a probation officer that Eric educated himself about the massive pharmaceutical industry and the injustice that occurs when these conglomerates prioritize profit over consumer safety. Eric decided to return to law school to become a consumer advocate in the courtroom. He has represented clients in cases involving a multitude of prescription drugs and medical devices, including robotic surgical systems, Pradaxa, Januvia, vaginal mesh and Yaz. Eric continues to lead in recovering millions of dollars* for injured victims from the pharmaceutical companies.